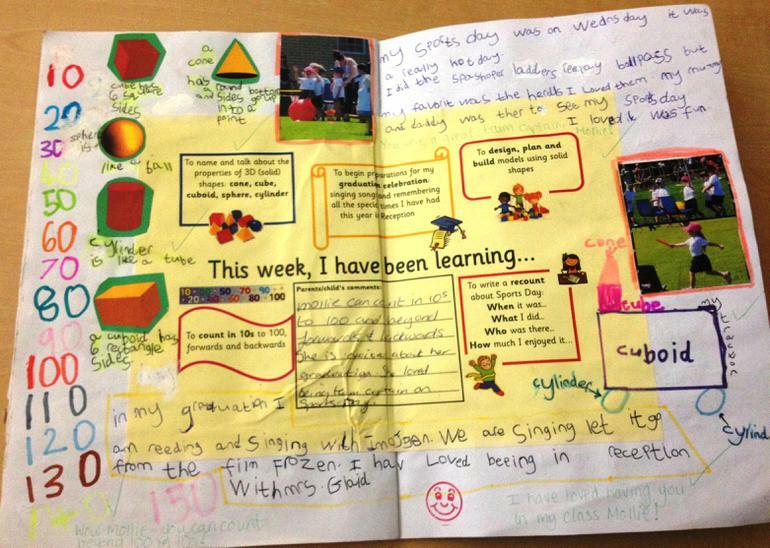 Each week the children will be given one or more tasks to complete at home with you. This will be based on the work they have been doing at school during the course of the previous week – it should not be anything new to them. This will be stuck into the centre of a double page, and then it is up to the children to fill as much of the double page as they wish, how they wish. 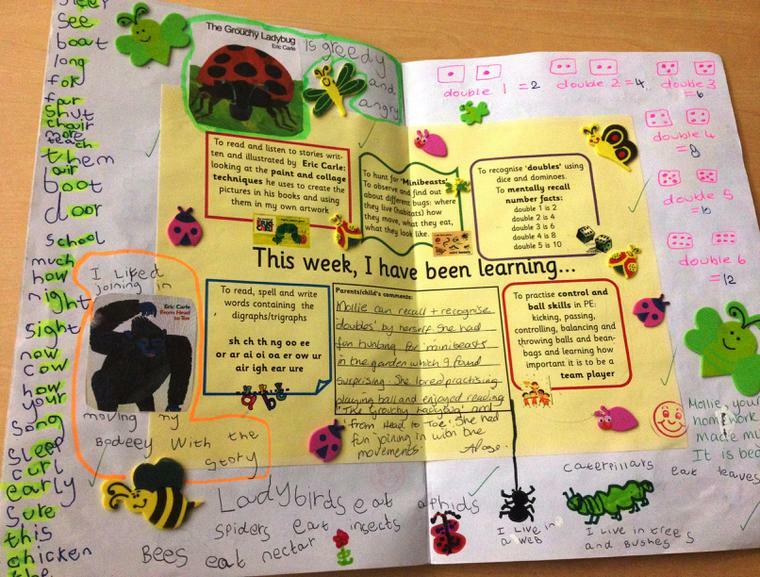 We are encouraging the children to be as creative with their homework as possible. They can complete these tasks in any way they want to. For example, they could draw pictures, label them, take photographs, write lists, stick in food labels, research from books or the internet – or anything else that they can think of. They can display their work in their book as they wish – painted, coloured, in different types of writing implement (e.g. gel pens, biros), collage and they can include any work they would like to – poems, stories, information, plays, facts, instructions, interviews with family members, lift the flaps, pockets with letters in, pictures cut out from newspapers and magazines and so on, the children can do as many or as few of these suggestions as they wish, or they can make up their own. We will be talking about homework when we give it out on Fridays, and giving the children a few ideas about what to do.